added appliances, hunting and fishing equipment, and outdoor clothing. Now, you can stop into one of our four convenient locations and choose from our wide selection of home improvement and building products. And don’t forget your outdoor needs – hunting supplies, archery arrows, targets, camping gear, hunting and fishing licenses. 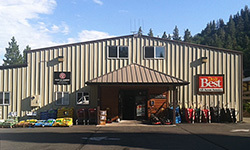 SOLANO’s boasts a wide inventory of supplies and gear, designed to improve your life. Remodeling projects are a great investment for any homeowner. Improving the look and functionality of your home makes life more enjoyable and increases the value of your property. 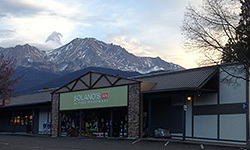 SOLANO’S offers a huge variety of home improvement supplies, including lumber, building materials and paint, nursery items, appliances, plumbing and electrical supplies and outdoor decking. 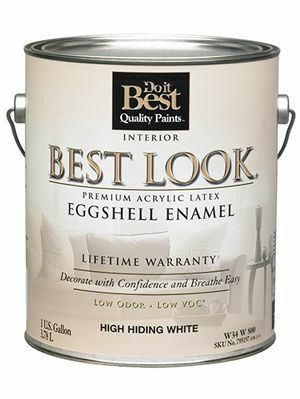 We carry Best Look Paint, and other national brands, giving you the opportunity to shop local, while selecting from national brands. SOLANO’S Alpine Hardware carries a appliances from the most popular brands, and if we don’t have your appliance in stock, we can easily special order. 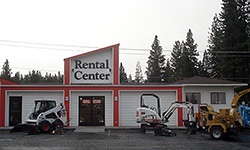 SOLANO’S provides a wide range of rental equipment for home projects of professional building projects. 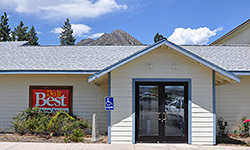 Our larger selection can be found at the Rental Center building at the Home Improvement Center in Weed. When it comes to planning an indoor or outdoor event, SOLANO’S can customize plans to fit any environment, any season. We can handle events of any size, and SOLANO’S provides set-up and take down assistance. We’ll help you create the event of your dreams. SOLANO’S will equip you with everything needed for your next project. Please visit one of our four locations today.